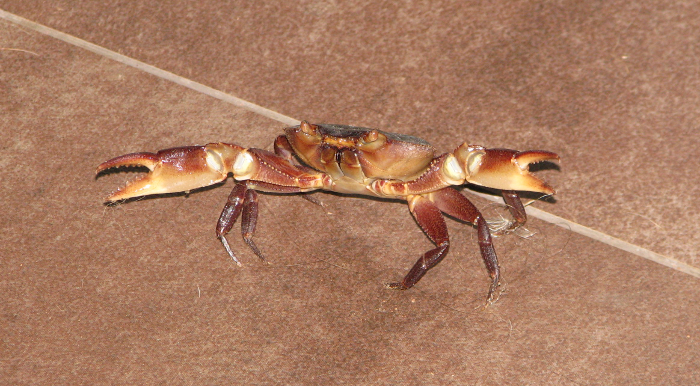 The other evening this crab walked into our house. It was about five inches long. I don't know anything about these crustaceans but I guess it is a type of land crab. Our house is situated on a cliff about 200 meters up from the river. I find it hard to imagine that he walked up to our place from the river. 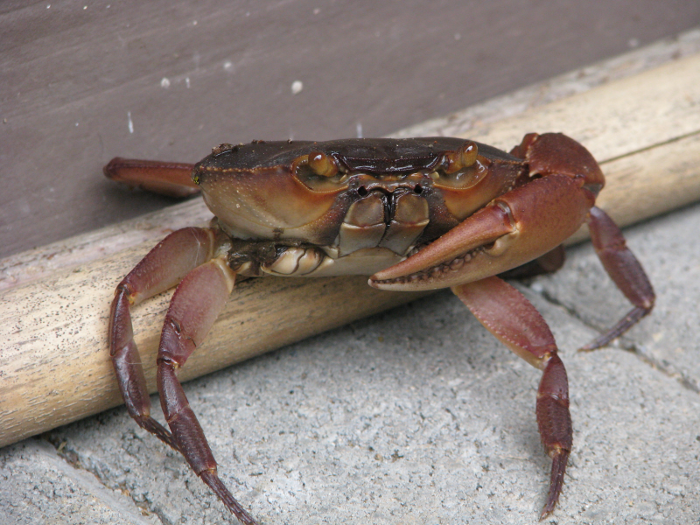 Even though this was a small crab he put on quite a show as John ushered him into a bowl and out of the house. The next day this crab showed up outside our house. He was several inches larger than the first one and as you can see in the picture he's missing a claw. Because he was minding his own business outside of the house we left him alone. The strange thing was that Roxy completely ignored him as well. At one point she even sat down close to him. Maybe she has tangled with one in the past or simply didn't see him.